The prolific and legendary actor Michael Caine starred in both the 2007 film version of Sleuth (opposite Jude Law) and the 1972 version (opposite Laurence Olivier). In the new version, an actors' tour de force directed by Kenneth Branagh and adapted by playwright Harold Pinter, Caine took the role originally played by Olivier. A riveting tale of deception and deadly games, this thriller about an aging crime novelist and a young actor in love with the same woman is essentially about the mysteries of acting and writing. 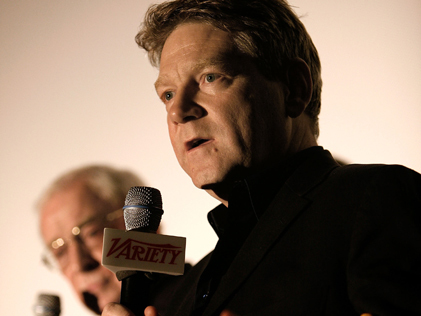 In this discussion, Branagh and Caine discussed their collaboration after a special preview screening.